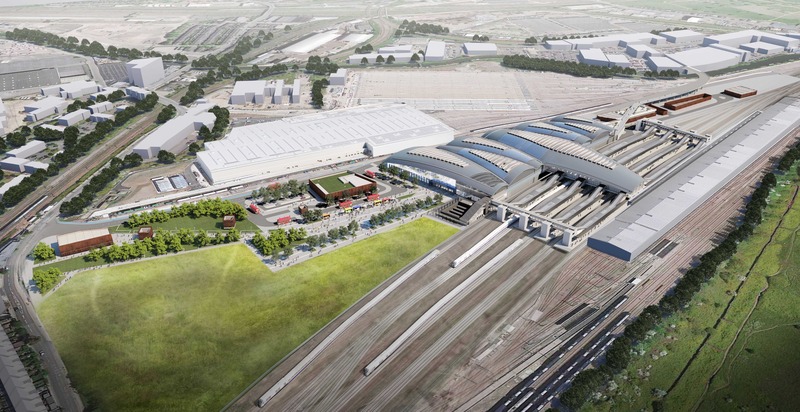 HS2 has unveiled the latest designs for its west London super-hub at Old Oak Common. Designed by WSP and architects, WilkinsonEyre, the station will be the UK’s best connected rail interchange, with 250,000 people passing through every day. 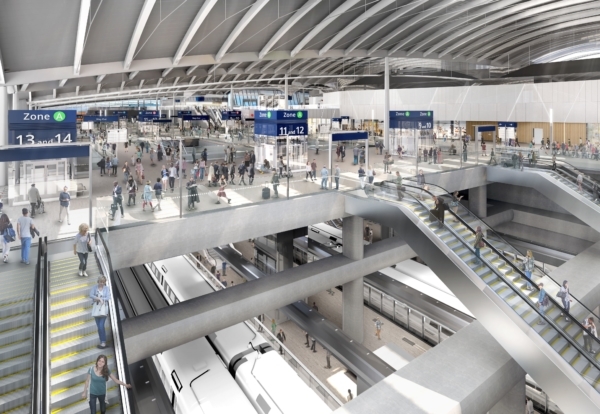 The high-speed platforms will be built below ground with connections to the adjoining ground level conventional station with an overbridge to Elizabeth line (Crossrail) trains, to Heathrow and central London. The current station design also includes the potential for provision of future services to Wales and the west of England from Old Oak Common. A light and airy concourse will link both halves of the station with a soaring roof inspired by the site’s industrial heritage. 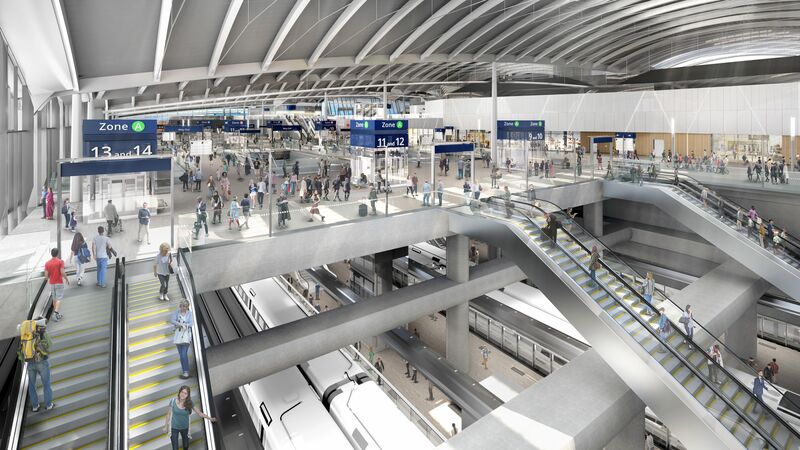 The six 450m HS2 platforms will be built in a 1km long underground box, with twin tunnels taking high-speed trains east to the terminus at Euston and west to the outskirts of London. An open green space will welcome visitors to Old Oak Common and provide a new focal point for the growing community. 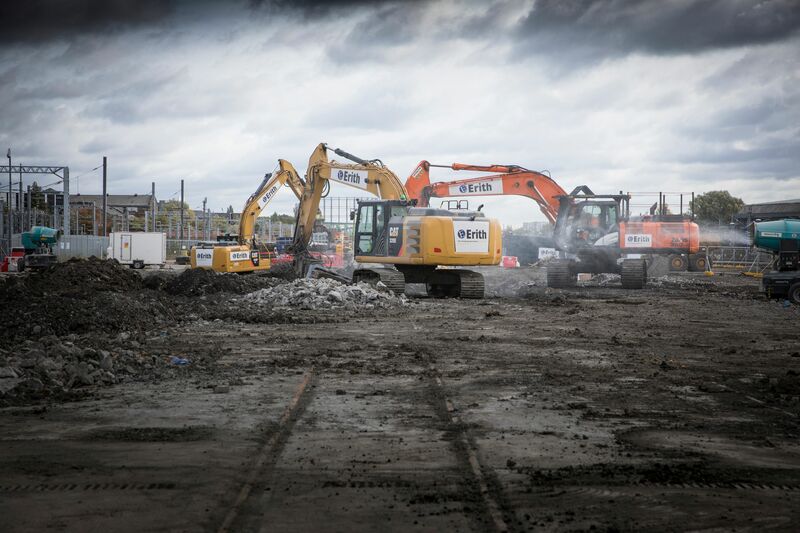 Material excavated during work on the tunnels will be removed by rail from the nearby former Willesden Euroterminal depot. The long-term planning and development of the wider site is being led by the Mayor’s Old Oak and Park Royal Development Corporation, which is planning a mixed-use development, with commercial, residential and leisure uses. 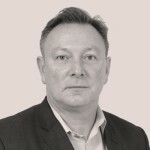 Matthew Botelle, HS2’s Old Oak Common Project Director said: “The arrival of HS2 has the potential to transform Old Oak Common, unlocking thousands of new jobs and homes around the UK’s best connected transport hub. 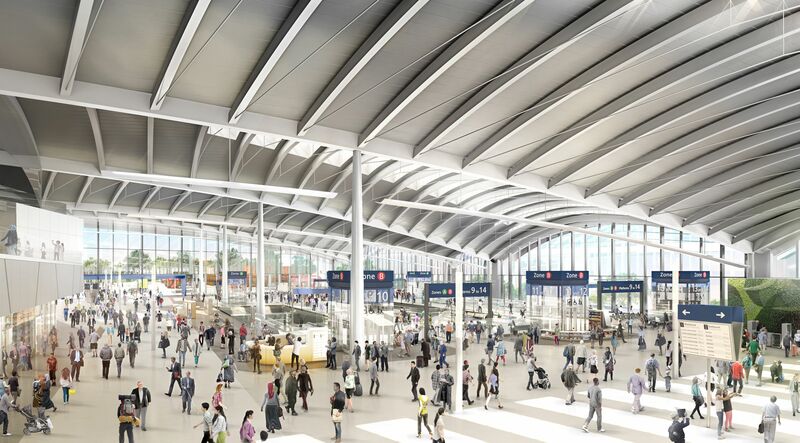 “Linking HS2 and Crossrail, our new station will be a landmark piece of architecture at the heart of the development, designed around the passenger to ensure seamless, accessible and stress-free travel. The station will be built on the former Great Western railway depot at Old Oak Common. HS2 is currently working to clear the site and prepare the ground for the start of construction, later this year.